Cycle parts of the route or embark on a four-day tour around Lake Åsnen. The Åsnen cycling trail is about 14 miles long. It starts from Alvesta and continues around the entire lake. Almost half of the route is totally car-free and runs along the old railway banks. The trail takes you through an old and culturally interesting countryside, rich in nature experiences and fascinating sights. Included in the package are accommodation, breakfast and sandwiches. The trail follows a journey description that is sent out by email after the booking is completed. 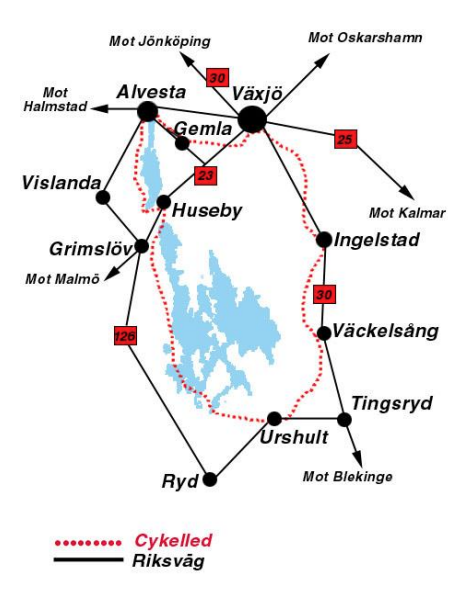 We also sell the bicycle map for southeast Småland from Norstedts for 188 kr including shipping. These clearly illustrate bike trails and suggestions for bike tours. Delivery is around two days within Sweden or 3-5 days internationally. Payments can be made via Swish or bank transfer. We can help with booking of accommodation and are happy to provide more information about Åsnen as part of the package. You start from Alvesta railway station and head towards Blenda and Blädinge church. Later in the day you arrive at Huseby where you have the option of a guided tour, lunch and visit to the beautiful garden. 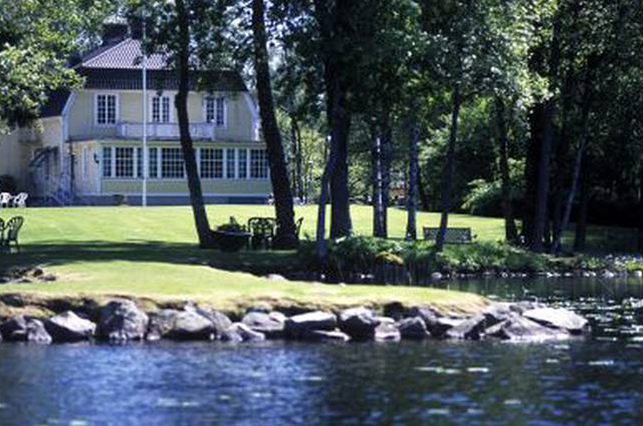 The final destination of the day is Torne estate. On this day you will cycle near Lake Åsnen's western shore. Åsnen is Småland's third largest lake. Åsnen has a surface area of 150km², a shoreline of 737km in total, and an average depth of only 3m (14m at its deepest). The lake has a number of fjords, the largest of which is Skatelövsfjorden which is over a mile long. Today you will pass through Urshult, and then continue along a railway bank. When you arrive at Rössmåla you will join a winding road, cycling through and enjoying the surroundings before continuing the journey towards Väckelsång. The railway bank you are now riding on is the former Ronneby - Tingsryd - Växjö track. 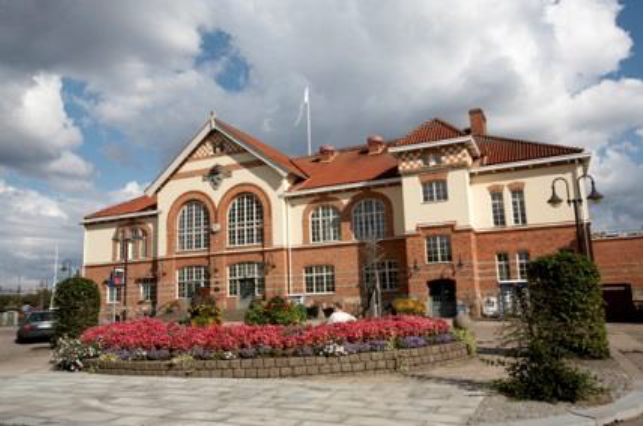 You head north and arrive at Tegnaby, Teleborg Castle and the beautiful lakes in the center of Växjö. You continue into Växjö towards the Emigrants' House and the museum of Småland. After a stop in Växjö you jump back on the bike and push on towards Alvesta. I approve that my information is used to be contacted.